After yesterday's Xbox Live and Xbox.com downtime, which lasted just under 24 hours, members were told not to expect any updates. And while it was partially true, there are no new features on Xbox Live or the Dashboard, Xbox.com got a pretty nice overhaul. 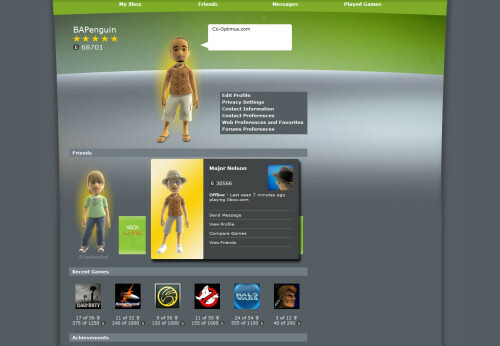 The MyXbox page is completely redone putting your avatar front and center along with some quick access to information like achievements, recent friends, and other stuff. The friends list page is also updated, with some nice new features including quick access to do common tasks with friends like compare games, send a message, and view their friends. The latter could be extremely useful for our Co-Op Nights. Hopefully the actual dashboard updates will be coming soon with many of those touted E3 2009 features. Page created in 0.5398 seconds.